Maybe this is the boat you’re in: You really want to buy a house, and to start experiencing all the benefits of homeownership, yet you also want to be financially responsible. And, well, you’ve got student loan payments to contend with—so maybe a mortgage is simply beyond your means? Not necessarily! While I always recommend running the numbers and doing your due diligence, ensuring good financial stewardship, I also believe that student loans do not have to keep you from homeownership. 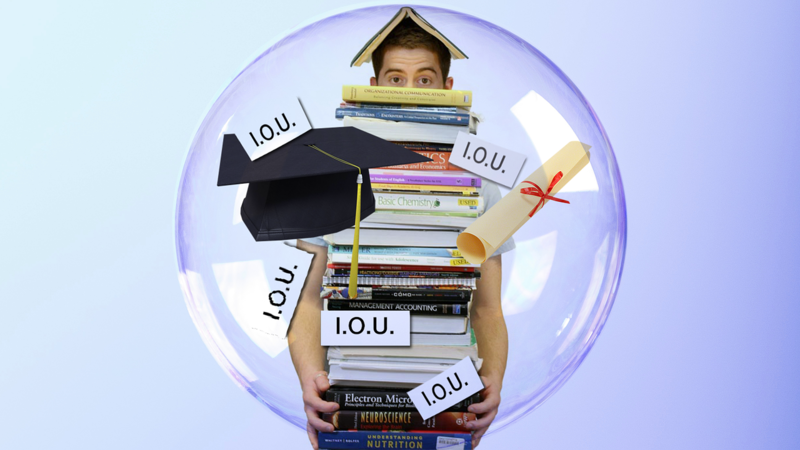 In fact, I know many individuals who handle their student loans and their home mortgages quite capably. As you pursue this path, let me make a few suggestions. Of course, it’s vital to shop for a home that you can afford. This might mean saying no to the exquisite granite countertops or the three-car garages for now, and instead looking for a starter home. If you’re not sure how much home you can afford, you might ask your mortgage agent for some tips. Get a general sense of the kind of loan you qualify for, and then figure out what the monthly payment would be. Factor that into your current budget to get a basic snapshot of how much home you can handle. When you apply for a mortgage, the underwriter will evaluate your current debt-to-income ratio—and one thing you can do to prepare for that is to pay down as many debts as you can, including credit cards, auto payments, and more. Obviously, making regular student loan payments is also important—but really, anything you can do to minimize debts is going to help you out. In some cases, refinancing your student loan debt can lead to lower interest rates—and thus, lower monthly payments. You can also inquire about income-driven repayment plans. While there are always tradeoffs—pros and cons to consider—it can sometimes make those monthly mortgage payments quite a bit more manageable. This goes not just for student loans, but for any outstanding debts you may have: Don’t miss payments. Don’t even be late with them. Remember that loan officers will look at your track record, and what they want to see is that you’re responsible and timely. A final note: A lot of your focus will doubtless be on month-to-month expenses, but you’re also going to need to put aside money for a down payment and closing costs. Make sure you factor this into your financial decision-making! With these guidelines in mind, I hope you’ll see that making wise financial decisions is possible even with student loans—and those decisions can very often include homeownership! I’d love to speak with you more about the benefits of owning a home. To start that conversation, contact the Ryan Minges team today, and let’s arrange to talk North Carolina real estate!